Thomas Dang was born in 1983 in Glendale, California. He received his Master of Arts in Art and is currently working on his Master of Science in Microbiology at California State University, Northridge (CSUN). Thomas has been a Graduate Assistant in both Ceramics and Microbiology, assisting professors in delivering curriculum and maintaining facilities. He is also a United States Marine who served in Operation Iraqi Freedom and is Head Instructor at Rifkin Professional Karate Center. 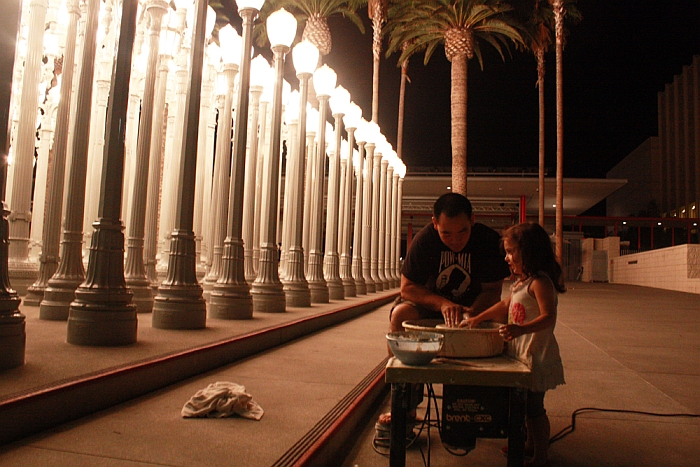 Thomas is an emerging artist who has exhibited many solo and group shows at California State University, Northridge and has exhibited in areas around Southern California. An influential part of my life has been my journey through the Marine Corps. Having done two combat tours in Iraq, I have been confronted with many hostile engagements. With the intense emotional exhaustion caused by combat, the struggles and experiences of war draws troops closer and develops a camaraderie that will forever live through many generations. However, the effects of war often reaches beyond the battlefield and extends to influence family and friends. 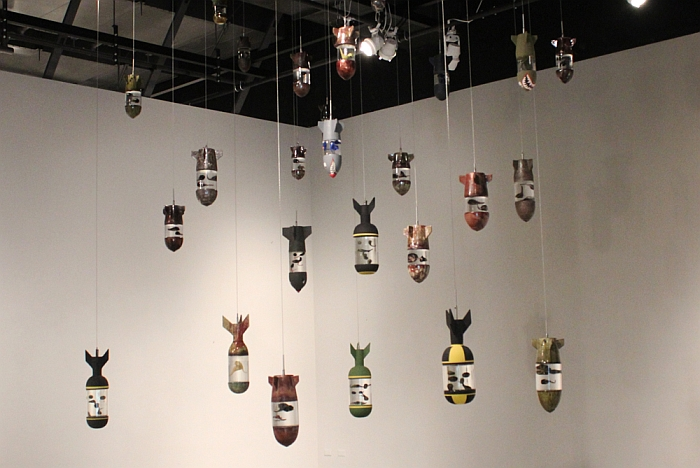 The work created portrays symbols that addresses the cynical comedy of warfare and articulates the metaphors and experiences related to combat. The purpose of my work allows for veterans and the community to engage in that dialogue and to visually connect with the actions our service members have faced overseas and at home. By doing so, we continue to honor all that have given some and keep alive those that have given all. To see more of Thomas’ work, visit his website.